From the humble cabbage to global fame, we visit leading botanical artist Ann Swan. We meet actor Simon Shepherd, soon to tread the boards of Salisbury Playhouse once more. More people are choosing to holiday at home, and Farm Stay Wiltshire has something for everyone while boosting the rural economy. 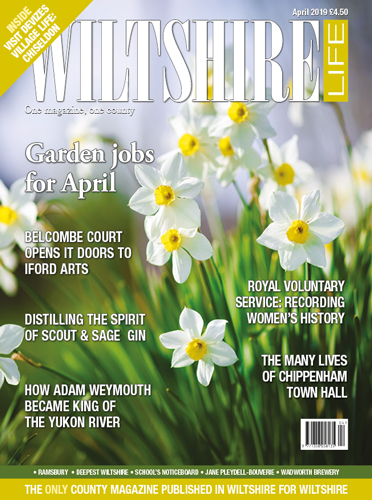 Now part of Wiltshire Creative, Salisbury Arts Centre has a long and fascinating history and an exciting future. Find out a healthy eating kick led to one-time PR chief creating a booming dog food business. Could you go waste-free or live for a year without buying something new? Point-to-point at Larkhill is a tradition not to be missed. Elaine Peto creates wonderful sculpture inspired by the natural world. Find out what the future holds for the iconic Assize Court building in Devizes. 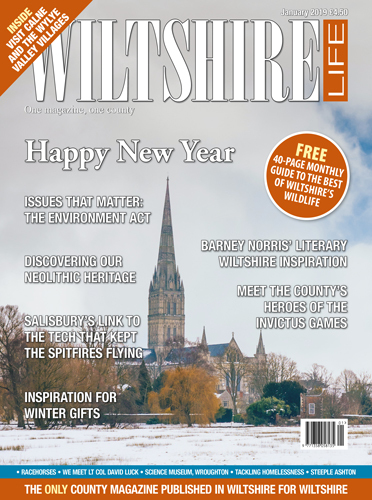 We go in search of Dickens’ Wiltshire. We travel the villages around Upavon. Add some local bubbles to your wedding day. Garden jobs in February. 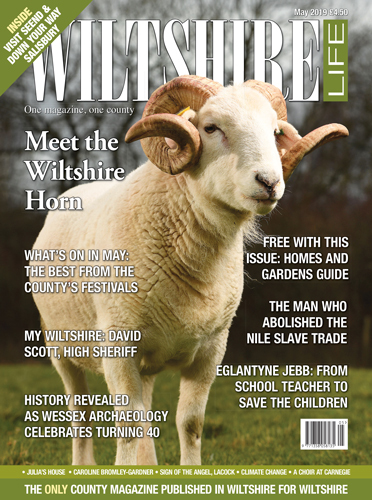 Businessman James Phipps tells us about ‘My Wiltshire’. February is very much a transitional month, it can be bitterly cold, but it is also the gateway to spring, with longer days and shorter nights. 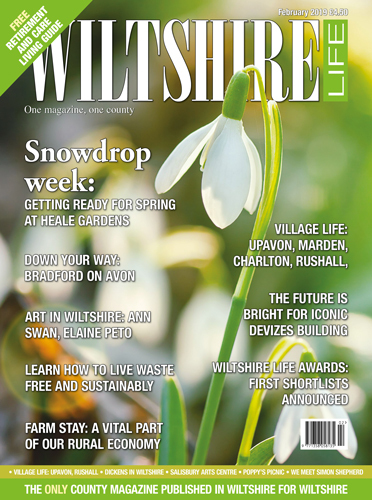 There is every chance that we will get snow, but even if we don’t we can be sure of snowdrops springing up all over the county, hence this month’s cover. They are such a welcome sight and really are a signpost to winter moving into spring. We had the honour of meeting one of our long-term contributors ahead of the issue publishing. 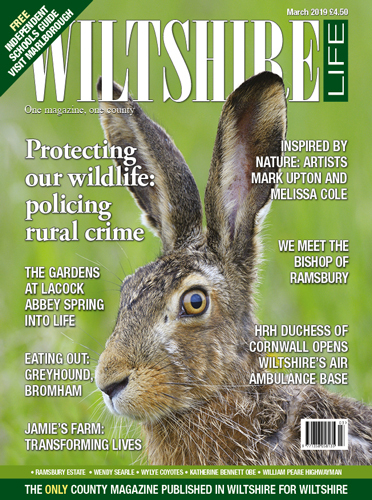 Though sadly now retired from writing, Barbara Last is still as passionate about the natural world as she was when she started writing for the magazine. Our tribute is inside. We also have a free Retirement and Care Living supplement.